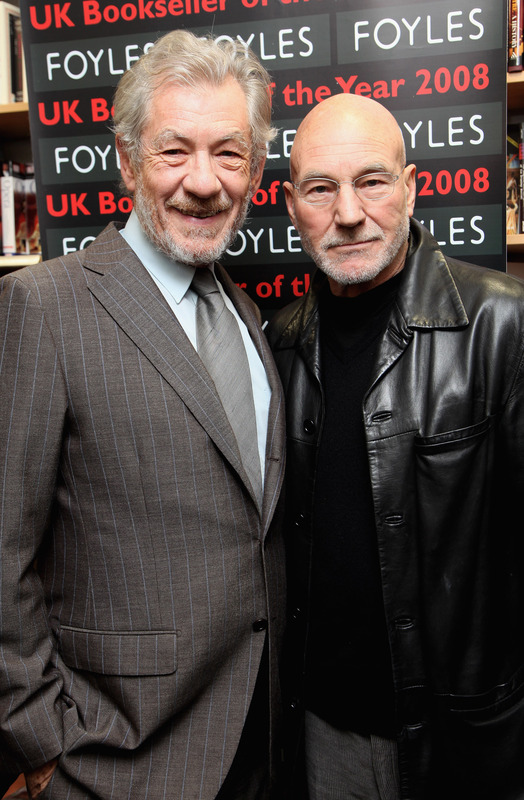 The Internet may soon be a less wonderful place as Sir Patrick Stewart and Sir Ian McKellen’s stellar Broadway run of Two Plays in Rep (Waiting for Godot and No Man’s Land) closes this week. What will we do without their documented Twitpics of their deeeeeee-lightful jaunts about New York City? How can we keep up with the the Knightly purveyors of friendship and merriment? Well, I mean, the fellas are of course still going to be BFF’s even after the curtains close after the last performance. And you know, the Internet won’t collapse (Gandalf willing). As if their hilarious photo diary wasn’t enough to make us all want to do a little happy dance every time we checked our newsfeed, the talented duo have yet another swoon-inducing move up their sleeves. They’ve just opened up the “Gogo and Didi Do NYC” auction in which they’ll be selling off three autographed t-shirst which they pruchased and wore during their own trip to Coney Island from September, 2013. The proceeds will benefit New York’s City Harvest, which helps feed millions of hungry New Yorkers every year. We’ve decided to auction [our own souvenir shirts, in honor of Gogo and Didi, to benefit the remarkable New York City-based charity City Harvest, an organization dedicated to feeding the most needy New Yorkers. In Waiting for Godot, Gogo and Didi are two old tramps, needy indeed. They don’t know where they’ll sleep that night, they don’t know where their next meal will come from, and they hoard their meager resources, sharing whatever they do have. In short, they’re hungry. It seemed a natural fit—Gogo and Didi and City Harvest. Well if that doesn’t make you want to go bid, donate, volunteer, or simply smile, I just don’t know what will. Find out more about City Harvest here.